Digiscoping is the art of using a spotting scope to increase the lens magnification of a compact camera. I first heard about the practice when birders with expensive monoculars would try to get photos of their subjects by holding their digicams up the eyepieces of their scopes and taking pictures. When I was at the very top of Oracle Arena Friday night for a Warriors game, I had the Canon PowerShot S90 in my pocket and an Orion EagleEye 8x32 Wide-Angle Monocular around my neck. Right before tip-off, I had what I call a Reese's moment: what if I did my own brand of digiscoping using the monocular as a tele-extender for the S90? After all, the S90 can handle high ISOs and the zoom lens seemed like it would fit OK with the eye piece for the Orion. And did I mention that I was way up there in the cheap seats? My first digiscoping inclination was to zoom the S90 all the way out to 105mm so the image filled the frame while I held the monocular in front of the lens. But I had a hard time getting a sharp image with this configuration. So I then back it off to 85mm, and finally got the best results at 50mm. The only downside to this approach was that I had an image circle in the middle of the frame with black all around it. But it was worth it to get the sharper picture. You can see this effect with the Greg Oden photo. For the shot of the jump ball (top of the article), I cropped out the black area. I played with a lot of settings on the S90, and most of them worked OK. I had to keep the ISO at 800 or above to deal with the lighting and the optics. At one point, I switched to the Low Light setting on the mode dial, and just left it there. Even though I lost some resolution doing so, it was just so easy, and the images looked better than at many of the other settings. Obviously this kind of DIY rig isn't for serious work. If I were covering this game as a shooter, I'd be down on the floor with my DSLR and fast glass. But on this night, I was just a spectator in the cheap seats with a little time on my hands. And this is yet another example of: the best camera is the one you have with you. Of all the DIY projects we write about, light modifiers are still my favorite. I have a nifty collection of flash diffusers and unusual lighting tricks that I think you'll want to keep in your back pocket. The DIY Flash Diffuser with Paper and Rubber Band is one of the coolest and simplest devices to date. All you need is an old press release and a rubber band. 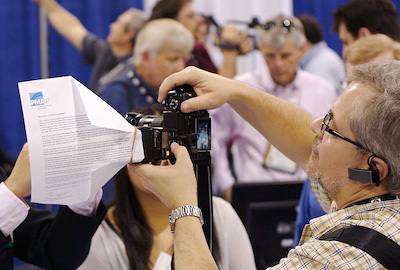 And don't forget about this Ring Flash Diffuser for a compact camera. Finally, a legitimate use for styrofoam. Here's a collection of Five Poorman's Lighting Mods from DIYPhotography.net. I think the barf bag flash diffuser might be my favorite from this list. And finally, one of the all time classics is to use a windshield reflector from your car as a fill light for outdoor portraits. My favorite of these reflectors (designed to keep your car cool on hot days) has white on the inside and silver on the out. This gives you two surfaces to choose from depending on how intense your fill light needs to be. Give it a try! Raw processing: it's harder than it looks. I was thrilled to see that Adobe has released Adobe Camera Raw 5.6, Lightroom 2.6 Release Candidates that supports 19 new Raw profiles, including for the Canon PowerShot S90. I like using the Bridge/ACR workflow for quick turnaround jobs, and being able to bring the S90 into that flow is terrific news. Comparison of an S90 raw file processed in Canon's Digital Photo Professional (left) and ACR 5.6 RC (right). The Bridge preview (middle) shows just how much work the two processors do before you ever move a slider. You can see full size versions on the Digital Story Flickr page. (Click to enlarge). But Raw processing often includes more than just getting the exposure and color right. In the case of the S90, it also has to correct for distortion and handle other important aspects of making the picture look good. I had already processed Raw files using Canon's own Digital Photo Professional, and the images shaped up nicely. How would the Adobe ACR 5.6 Release Candidate stack up? As it turns out, quite well. I've included an S90 shot here that was captured at the wide end of the lens (7.5 mm, or about 35mm in standard terms). 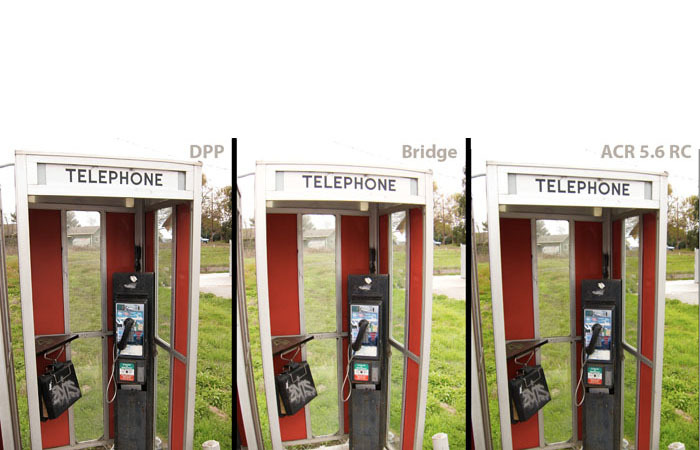 There was quite a bit of distortion as you can see in the uncorrected version that I previewed in Bridge (middle). But when I opened the picture in ACR 5.6 RC (right), you can see that much of the distortion was corrected. Wow! I expected DPP to do that (left), but was crossing my fingers that ACR was up to the task as well. And it is. You can see bigger versions of all three images on the Digital Story Flickr page. You'll notice that ACR does interpret the file differently than DPP. 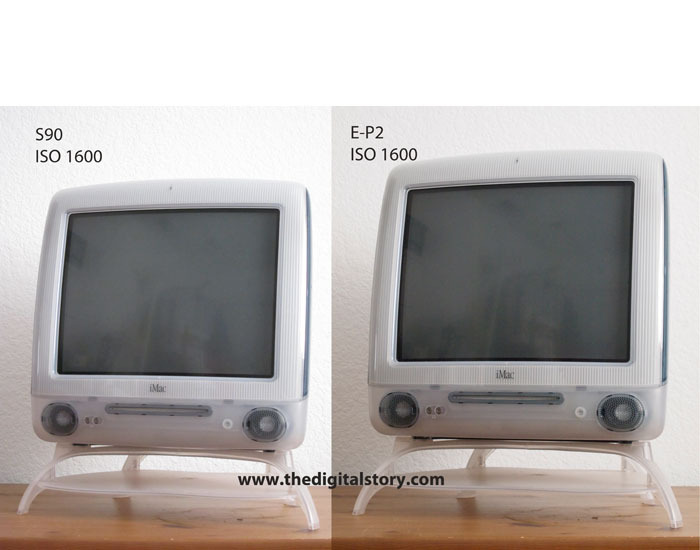 I used the "Standard" profile for DPP, and the "Camera Standard" profile in ACR. I tried to add the same amount of sharpening in ACR that DPP automatically adds, but didn't make any other adjustments in either application. I then took a high resolution, 100 percent, screenshot of each of the processed previews. I like the interpretations by both DPP and ACR. I give the initial processing nod to DPP, but have better tools for adjustment in ACR. Compare either to the preview in Bridge, and you'll see just how excellent they both are. For my own work, I'll probably use ACR 5.6 or Lightroom 2.6 most of the time for the Canon S90. But for certain images, I won't hesitate to open them up in Digital Photo Professional to see how Canon renders the file. Options are good, and we have two excellent ones here. I just got a fairly comprehensive press release from Adobe about their Camera Raw 5.6 and Lightroom 2.6 release candidates. 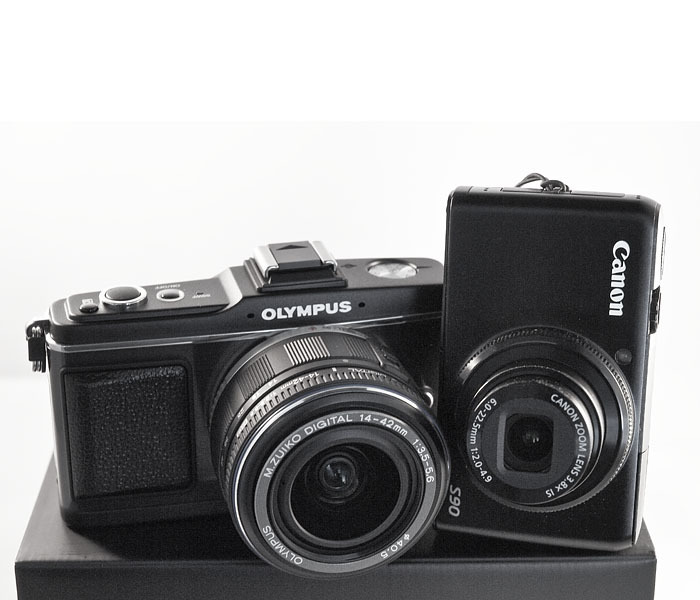 I'm quite interested in these because they provide Raw support for a few of the cameras I've been writing about lately, namely the Canon S90 and Olympus E-P2. So Here's the scoop from Adobe. 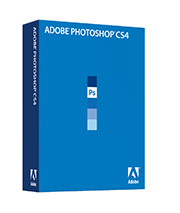 Photoshop Camera Raw 5.6, Lightroom 2.6 and DNG Converter 5.6 Release Candidates, available for immediate download on Adobe Labs. The term 'release candidate' means this update is well tested but would benefit from additional community testing to provide the highest quality experience for customers working on a variety of hardware and software configurations. The Lightroom 2.6 Release Candidate is available as a free download for existing Lightroom 2 customers, and the Photoshop Camera Raw 5.6 Release Candidate is available as a free download for existing customers of Photoshop CS4. The DNG Converter 5.6 Release Candidate is also available as a free download for all customers. Click here for more information and to test out the updates: http://labs.adobe.com/. Feedback can be provided on the Adobe User to User forum: http://forums.adobe.com. 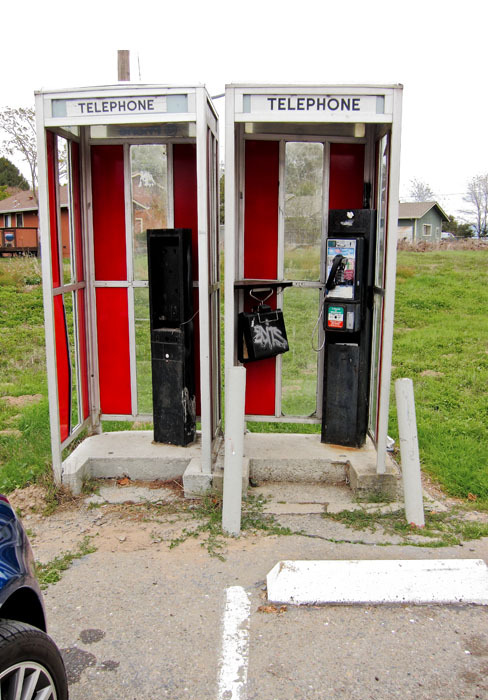 While I was parked at a county gas station, I noticed this pair of classic phone booths at the edge of the asphalt. It dawned on me that in just a few years we probably won't see many of these icons. Very few are operable any more, and it just seems like a matter of time before they're removed once and for all. 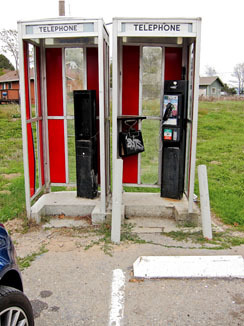 As a kid, phone booths represented mobility. You could place a call from anywhere to anywhere if you had change in your pocket. They were Superman's changing room, and the temporary offices for anyone who had to make a connection. But the rise of cell phones have taken their toll on phone booths. Glad I had a camera with me when I spotted these. "Old Phone Booth" captured with a Canon S90 in Aperture Priority mode at f/5.6 at 1/40th, ISO 80. Raw file processed in Canon DPP. Click on image to enlarge. Most images captured before 1999 were recorded on film. For many photographers, amateurs and pros alike, that means that unless those pictures are digitized and incorporated into our existing workflows, they are probably not getting the attention they deserve. In this podcast, I cover what I believe is the easiest way to move large quantities of pictures from analog to digital. The research and testing for this podcast was orginally conducted for my Macworld article titled, Outsource your photo scanning projects. After you listen to today's show, I encourage you to read the article if you're considering embarking upon this type of project. Not only do I include lots of details that you'll find useful, many readers have also contributed ideas based on their experiences. Wrinkles is the Nov. 2009 Photo Assignment. Keep in mind that side lighting increases texture and front lighting hides it. So you should be thinking angled lighting for this one. You can read more about how to submit on our Member Participation page. Deadline for entry is Nov. 30, 2009. The Canon PowerShot S90 and the Olympus E-P2 are two of the more tantalizing portable cameras in the news right now. The S90 is a sophisticated compact that slides in your shirt pocket, and the E-P2 is a larger micro four thirds system camera that offers interchangeable lenses, electronic flashes, and even two different accessory viewfinders. It has a bigger 12.3-megapixel, four thirds sized image sensor compared to the S90's 10 megapixel, 1/1.7-inch CCD. But these two cameras do have one thing in common, they both preform admirably in low light. I know this because I've tested each individually. Back in June, I tested the Olympus E-P1 for image noise, and was happily surprised that it performed great up to ISO 1600, and decently up to 3200. Since then, I've done plenty of real world street shooting with the E-P1, and have been happy with the results. I've also been testing the Canon S90. Just last week I pitted it against a Canon G9, and the S90 blew it out of the water. 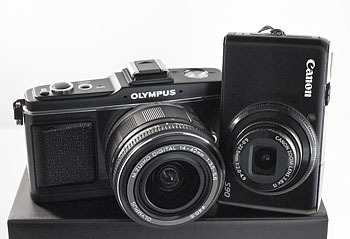 So, how would the pixels shake out if we compared the $430 Canon S90 against the more expensive Olympus E-P2? Well, that's exactly what I did with this test. You can see the full sized test shots at ISO 100, 400, 1600, and 3200 on the TDS Flickr site. I've included a lower resolution image here too for reference. But to really see the differences, you need to look at the full sized shots on Flickr. The bottom line? The Canon S90 put up an excellent fight. At ISO 100, it's hard to tell much of a difference between the two cameras. By ISO 400, they are still going toe to toe. 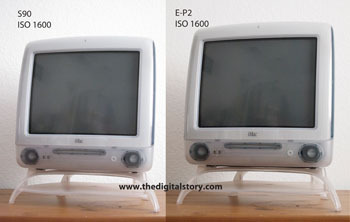 But at ISO 1600, the E-P2 begins to pull away from the S90. And the difference becomes even greater at ISO 3200. The biggest advantage I see at 1600 and 3200 for the E-P2 is that it retains more image detail than the S90. My guess is, that by 1600, the S90's noise reduction system is beginning to take its toll on sharpness. The test itself was very simple. I tripod mounted both cameras and put them in Programmed Exposure mode with Auto White Balance. I made not other adjustments other than moving the ISO setting from 100 to 3200 in full stop increments. I then opened each image in Photoshop at 100 percent and positioned the pairs side by side. I did not apply any image editing to the shots. For small sensor cameras, I think both look great. And even though there are lots of feature differences between the two models, one thing we know for sure: each can handle itself just fine when the lights go down. I find the Canon PowerShot S90 one of the most interesting compact cameras available today. No doubt you've heard about some of its most popular features: records in Raw, sports a programmable click-stop Control Ring, and uses the same sensor and image processing as the Canon G11. But as I've worked with this camera, I've discovered a number of more subtle features that I think are noteworthy, and that you might appreciate. 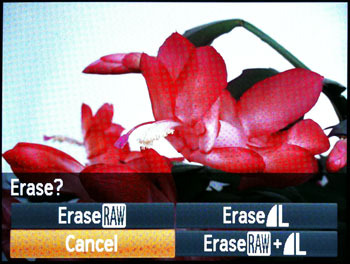 Versatile Erase Options - When you shoot in Raw+Jpeg, as I often do, you have three erase options when you press the trashcan button: Raw only, Jpeg only, or Raw+Jpeg. I think it's so intelligent having complete control over what you delete. Semi Auto White Balance - In auto white balance, you have the option or rotating the Control Ring to tweak the white balance in the blue or red direction. If you hit the Display button, you can also adjust green and magenta too. This is much more precise than using the presets. And it makes Auto White Balance truly useful, because it is now an intelligent starting point instead of the final destination. Smart Self Timer - In the standard self timer mode, I can set how long I want the timer to run (between 1-30 seconds in 1 second increments) and for how many shots (between 1-10). So if I want a 5 second delay for 4 continuous shots, it's not a problem. Why haven't we always had this? Manual Flash Output - When you shoot in Manual exposure mode, the flash exposure compensation scale changes from the standard + and - to a flash output control. 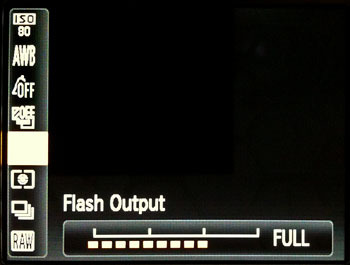 You can manually set the flash to 1/3, 2/3, or full power. Works great! It's also more intuitive than flash exposure compensation. Low Light Shooting on Mode Dial - The S90 performs admirably well in low light (see my ISO tests for more information), and you have lots of exposure controls to choose from. 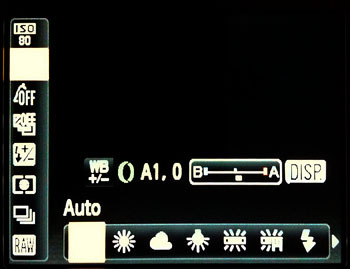 But if you want to quickly switch to low light shooting, just choose the candle icon on the Mode Dial. This enables all of the S90's low light functionality with a single, easy-to-get-to setting. The downside, it only records in Jpeg in this mode. So how do I configure this camera for my every day shooting? After trying lots of combinations, my favorite way to work is to set the mode dial in Aperture Priority (AV); set the Control Ring to Step Zoom so I can click stop between 28, 35, 50, 85, and 105mm focal lengths, then adjust the f/stop with the Control Dial on the back of the camera. I set the Shortcut button to enable the Exposure Lock. With this set up, I feel like I'm shooting with DSLR that just happens to be very, very small. If you want to take advantage of iPhoto's latest capabilities, but don't want to commit your master images to its internal database, there is a way. You can set up a referenced library scenario that allows you the freedom to switch among any non-destructive photo manager -- such as Aperture, iPhoto, Lightroom, and Adobe Bridge -- for the same set of original images. And none of them will alter your originals in any way. It's not an approach for the average consumer. But photographers desiring lots of flexibility might be interested. In my latest Macworld article, Store photos outside of iPhoto's library, I show you how to set up a catalog of master images on a separate hard drive, then "point" iPhoto to them. Instead of ingesting your masters into its internal database, iPhoto notes their location, then refers to them when you need to work. There are lots of insightful comments that accompany the article, and I encourage you to read them all. One very important point that comes up in the ensuing discussion is that you should test this method of image management first before committing your entire library to it. But for certain people, this approach allows you to play with new iPhoto features such as geotagging and face recognition, while still having the flexibility to use other applications with that same set of images. In the article, The Conversation Has Shifted from Megapixels to Image Noise, I observed that we've moved on, at least temporarily, from the megapixel wars. Case in point with my own cameras. The Canon G9 that I reviewed on Oct. 2, 2007 squeezed 12.1 megapixels on to a 1/1.7 inch CCD sensor and processed the information with a DIGIC 3 processor. Now, two years later, both the Canon G11 and S90 have upgraded to DIGIC 4 processors, but only 10 megapixels on the same sensor. Why step backwards? Well, in part because we asked Canon to. Our theory was that if you cram fewer photosites on to the same sized CCD, you'd generate less heat, and therefore have less image noise at higher ISO settings. Improvement with the S90? You betcha! 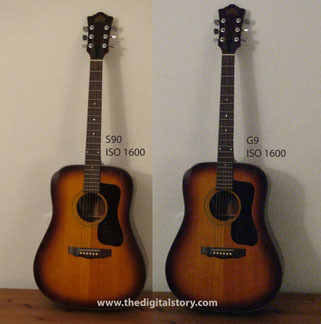 Side-by-side comparison of ISO 1600 shots with the Canon S90 and two year old G9. Even in these smaller shots (click on image to enlarge) you can see a big difference. Go to the full-sized comparisons to see more detail. Were we right? 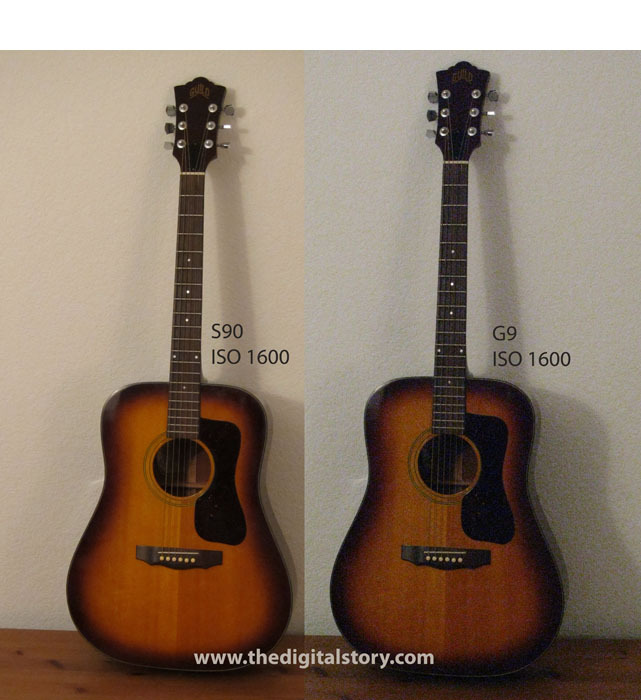 I decided to run a comparison between the Canon G9 (a camera near and dear to my heart) against the new PowerShot S90. I mounted each camera on a tripod, set the aperture to 5.6, and took shots of the same subject in the same lighting at ISOs 80, 400, 800, and 1600. I then published full sized comparisons that you can view at 100 percent and judge for yourself. No image editing of any kind for these shots. They were high quality Jpegs that I spliced together in Photoshop, and then left it at that. My conclusion? No contest. The S90 is clearly the better camera at ISO 400 and above. In this case, Canon found a way to make our theory correct. Take a look at the posted samples and decide for yourself. As for me... well, I'm impressed with the image improvements in the Canon PowerShot S90. There are plenty of other features I like too, and I'll touch on those in a subsequent post.